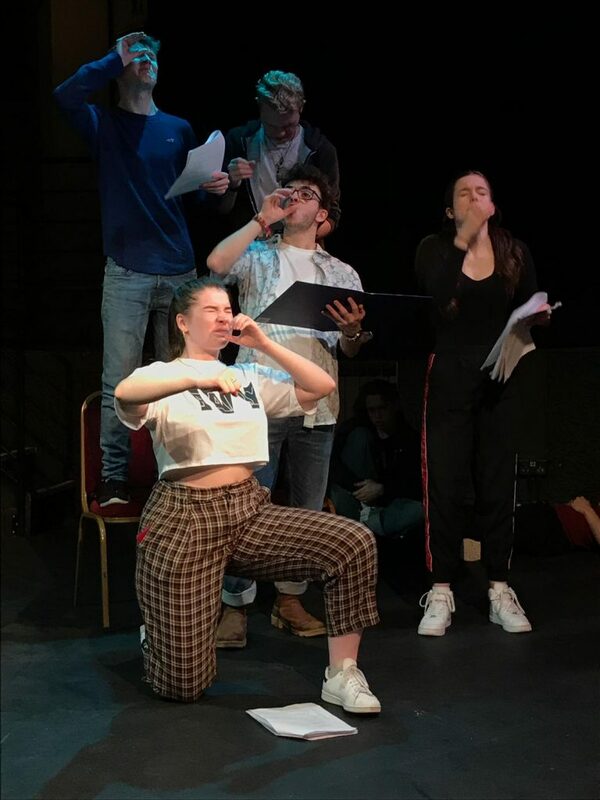 Assistant director Sam Luffman updates us on To Walk on Water which opens its run on Friday 29 March at New Wimbledon Theatre’s Time & Leisure Studio. The second premiere in our Troubled Waters season, To Walk on Water, opens this Friday, 29 March, at New Wimbledon Theatre’s Time & Leisure Studio. …our EU departure may have been delayed, but with the country still in turmoil, and the future more uncertain than ever, this story – which looks for reasons to hope in troubled times – could not be told for the first time on a more appropriate date. Last supper? Act Three in rehearsal. 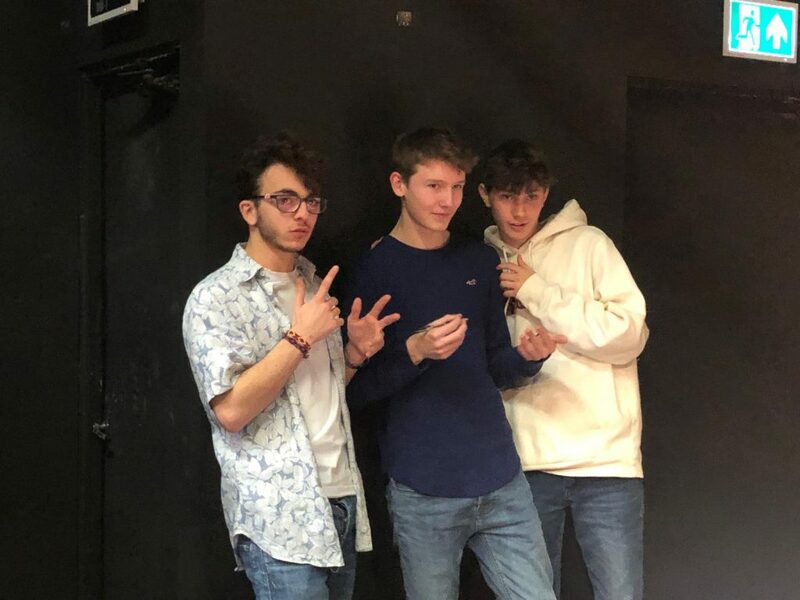 “We have larger than life characters from all walks of life, played by a strong ensemble of committed young people,” says Sam Luffman, assistant director on the production. 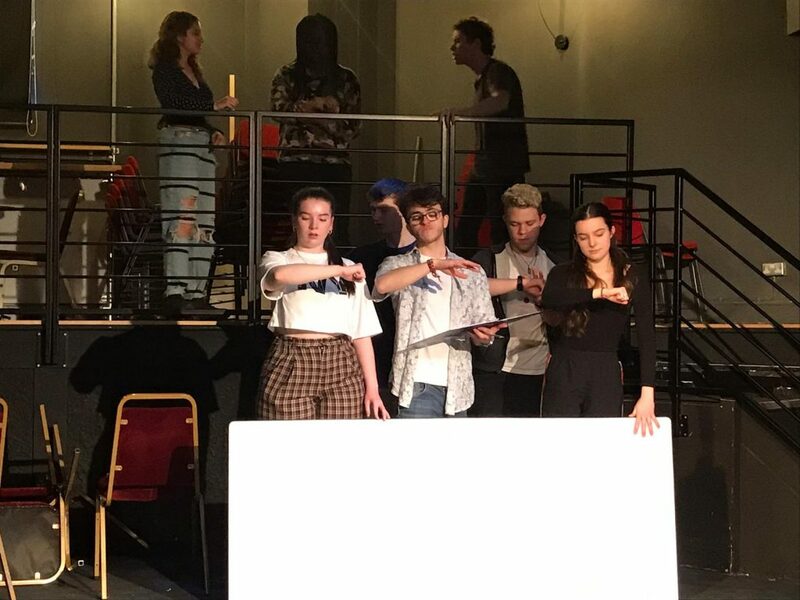 With final rehearsals in motion, Sam says the set has completely transformed Wimbledon Theatre’s Time & Leisure Studio – and the actors are really pushing their characterisation. 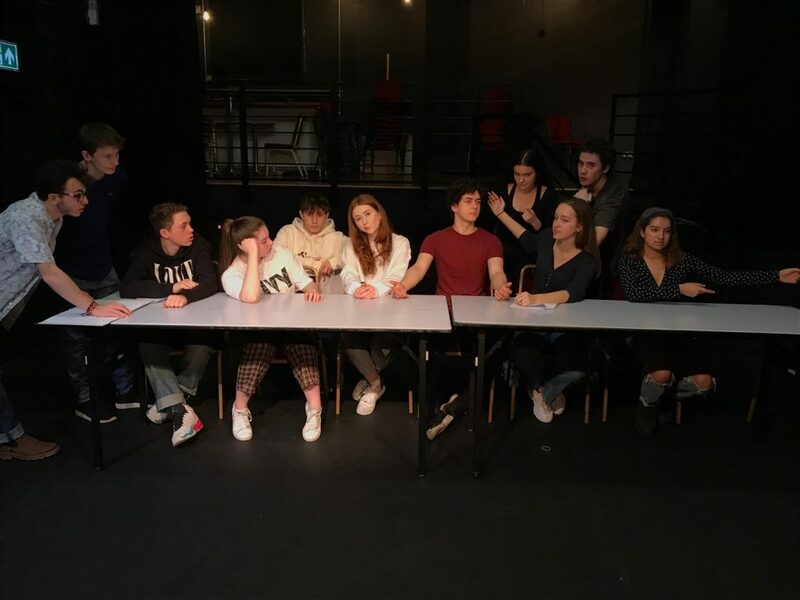 And, if you’re interested in the politics, ideas and concepts behind this original piece of theatre, Andrew, Sam and the cast are looking forward to hosting a Q&A after the matinee show on Saturday 30 March. Tickets are still available for To Walk on Water on Friday 29 March (evening performance only) and Saturday 30 March (matinee with Q&A and evening performance).